I am sure you’ve had that moment where you thought to yourself, is that my body odor? Don’t despair, body odor can be tackled naturally and I’ll show you how! Every person has a signature scent. In most cases this natural smell is not an issue since it is not strong enough to be perceptible to those nearby. For some people however, the scent develops into a strong and unpleasant body odor. Body odor tends to occur in people who sweat more than usual, especially in the armpit area. It can cause social problems in the workplace, at home and in social gatherings. Left untreated, body odor can negatively impact emotional and mental health. There are several ways you can effectively combat body odor ranging from surgery to simple home remedies. But to treat the problem, it is essential to understand its causes. 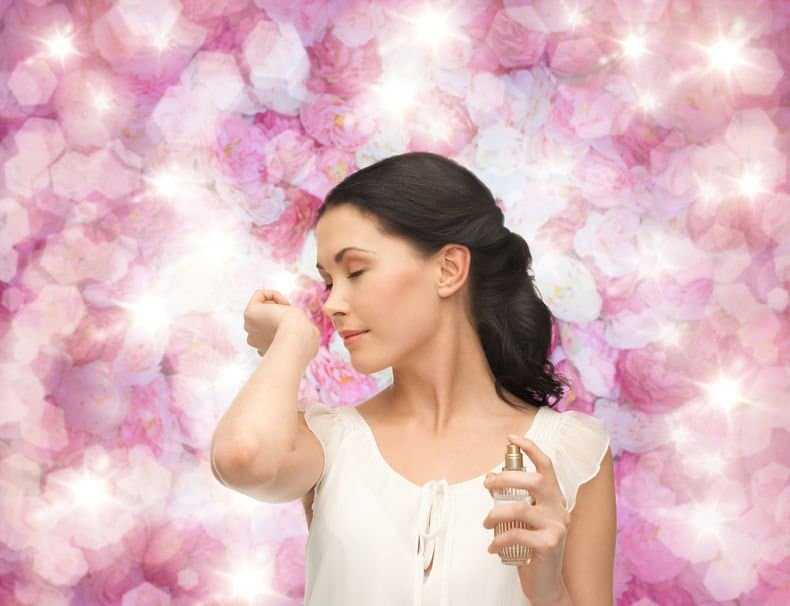 Body scents in general are the result of two things: secretions from skin glands and skin bacteria. Bacterial activity on skin gland secretions (primarily sweat) causes the creation of ‘smelly’ chemicals that are to blame for body odor. Apocrine sweat glands, which develop during puberty, are the main culprits when it comes to body smell. They produce sweat that contains chemical compounds which interact with bacteria to cause body odor. Depending on the makeup of the new compounds, different individuals will have varying body odors. Some have a vinegar-like smell while other body odors are reminiscent of cheese. Generally, these odors are unpleasant and can cause those nearby a lot of discomfort. Genetics, lifestyle, diet and medication can affect the nature and severity of body odor. For instance, overweight persons are more likely to have a stronger odor. Spicy foods and alcohol can also aggravate the situation. In some cases, body odor can indicate serious health problem(s). Diabetes causes a fruity body smell while kidney and liver disease can result in a bleach-like odor. How Do I Get Rid Of Body Odor? In the most serious of cases, surgery can be used to minimize body odor. This involves removing some of the sweat glands in the armpit or severing nerves that are involved in the sweating process. Botox injections can also be injected in the affected areas to reduce sweating. This toxin works by blocking communication between sweat glands and the brain. But before you consider these solutions, there are many other simpler and less costly remedies that can be just as effective. In this article, I have highlighted several options that include essential oils and natural substances. There is also a section on how to prevent and control body odor. The main principle behind all these solutions is targeting sweat gland secretions and bacteria. These remedies either reduce the amount of sweat being secreted or kill the bacteria that cause the odor. So, let’s get started! Some essential oils contain properties that can help in reducing body odor. Some reduce the amount of sweat that is excreted by glands while others kill the bacteria that causes sweat to metabolize into ‘smelly’ chemicals. And let’s not forget that most essential oils have a pleasant scent that can mask body odor. 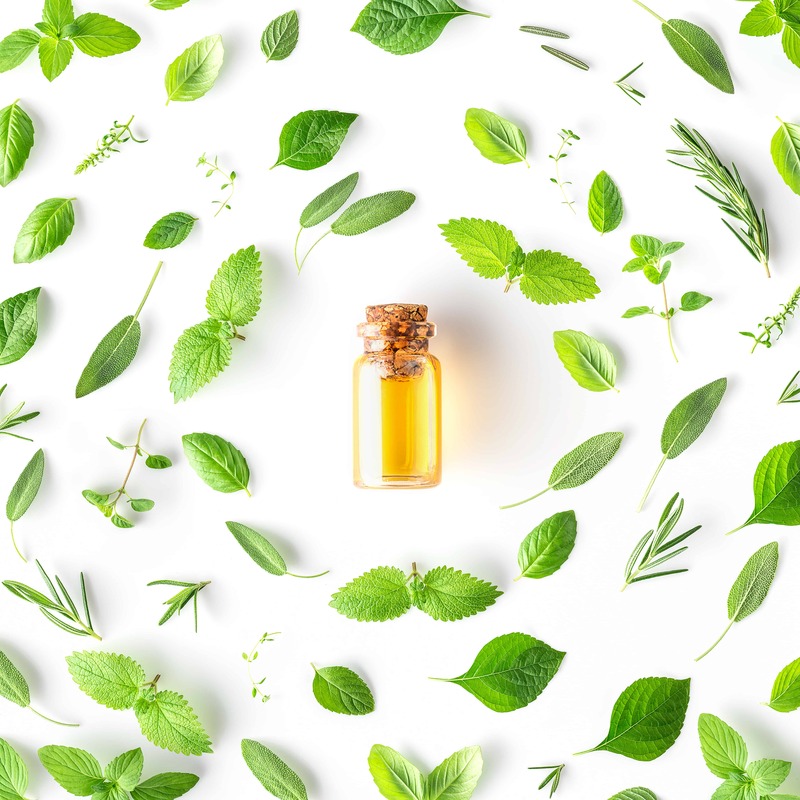 Here are five essential oil recipes that you can make at home using ingredients available in your kitchen to fight body odor. 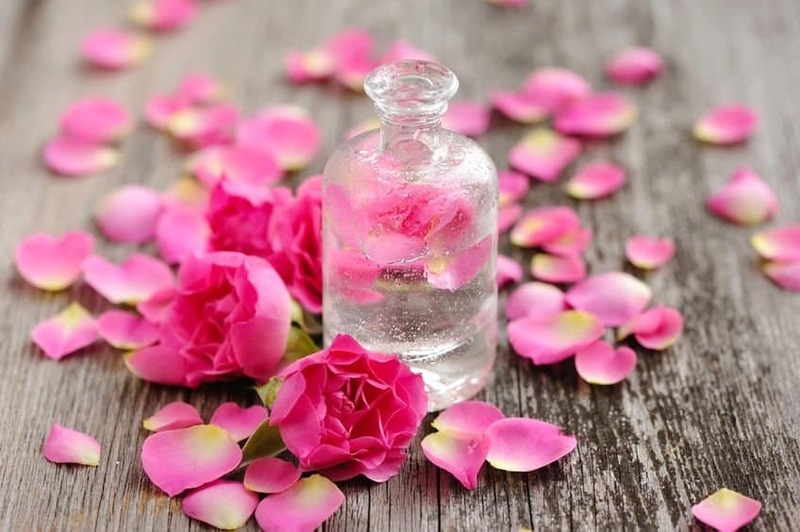 Remember not to use essential oils directly on your skin as they can cause skin irritation. You can click here for more details on how to blend essential oils. Also remember that in making essential oil deodorants, it is important that you choose the right carrier oil. 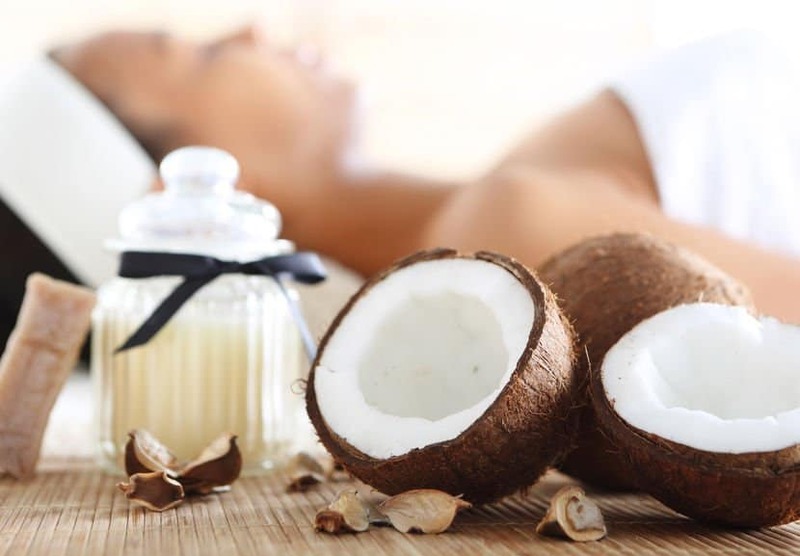 Use carrier oils with antibacterial properties such as coconut oil. 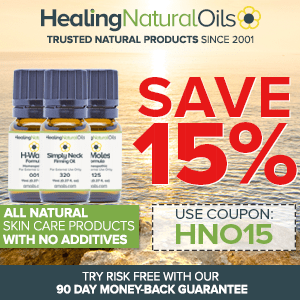 Additionally, make sure you are not allergic to the chosen essential or carrier oil. People who are allergic to sweet almond, hazelnut, macadamia nut oil can use apricot kernel oil as a great substitute. Lavender works by inhibiting the growth of skin bacteria. This leaves fewer bacteria to interact with your sweat, thereby minimizing the unpleasant odor. In this simple recipe, I am going to show you how to prepare a deodorant powder that you can sprinkle on your underarms. Put all the ingredients in a glass jar and mix them until you have a uniform powder. Close the jar tightly and let the mixture sit in a dark place for a couple of days after which it will be ready for use. To apply the powder, dip a makeup brush into the jar and dust the powder on your underarms and any other sweat-prone areas of your body. The baking soda and cornstarch helps keep the skin dry – inhibiting bacterial growth – while lavender kills odor-causing bacteria and makes your skin smell nice. Note that you can instead add a carrier oil such as sweet almond or jojoba to attain a creamy rather than powdery texture. You can then smear the mixture on your underarms and feet every morning before you put on clothes. Tea tree oil is one of the most revered essential oil. Derived from the narrow leaf tea tree plant (from Australia), tea tree is a powerful antiseptic, making it perfect for getting rid of bacteria that causes body odor. The tea tree recipe that I offer below is ideal for creating a spray deodorant. It is perfect for those who prefer a ‘wet’ deodorant to a ‘powdery’ one. Mix the baking soda with the arrowroot powder or cornstarch in a glass jar and add the tea tree essential oil. Stir in the coconut oil until it is just moist and stir well. There you have it, it’s that simple! Rub a small amount of the mixture on your forearm to test for skin sensitivity. If you develop an itch or rash, try another essential oil such as patchouli, sweet orange or rose. If there is no reaction at all, the deodorant is ready for use. Dip your fingers in and apply a small amount to your underarms and feet if needed! Peppermint and coconut oil have antibacterial properties and will reduce the number of bacterial activity causing body odor. This is probably one of my favorites essential oil deodorant recipes as not only it smells great but it also gives a cooling sensation for the whole day! Just remember that you can adjust the quantity of corn starch and baking soda accordingly. Corn starch allows you to control the wetness of the blend. Adding more baking soda allows you to have more odor control, however, be careful not to add too much as it is alkaline and can cause skin irritation and burning. Melt the butters (cocoa and shea) in a double boiler and add the other ingredients. Add the peppermint essential oil last. Pour into the glass jar for storage. Dab it onto your underarms and feet and anywhere else you want to freshen up. This deodorant recipe is for those who have sensitive skin. I have omitted baking soda as it can cause skin irritation. This recipe will reduce bacterial activity and in turn help reduce body odor. In the glass spray bottle, add the essential oil and magnesium oil and fill the rest of the bottle with witch hazel. Shake well and spray to your underarms. Deodorant recipes that use coconut oil have one common problem: they melt when it gets hot. This creates the need to store the deodorant in the fridge during hot weather. One way of creating an all-weather melt-free deodorant is by adding beeswax. Here is the recipe. Mix the coconut oil and beeswax pellets and place the mixture in a hot water bath. Keep stirring until the beeswax has melted. Once the beeswax has melted, add the baking soda and cornstarch (you can also use arrowroot powder). Mix well until you get a creamy texture. Then add 10 drops of lemongrass or patchouli essential oil. Mix and then transfer the deodorant into a small glass jar. Now, here are a few homemade DIY all-natural and safe recipes for body odor using common ingredients found in your kitchen. So next time before you go out and buy expensive deodorants whose ingredients you cannot pronounce, try some of these home remedies. Bacteria thrive in warm moist places, which is why the underarms tend to be quite smelly. By keeping the area dry, there will be less bacteria and thus less odor. Most homemade deodorant recipes call for baking soda as one of the main ingredients. Baking soda has several properties that make it effective at combating body odor. For one, it is naturally antibacterial. This means that it will kill the bacteria causing your sweat to smell. Second, it absorbs moisture, thereby reducing the bacteria count. Finally, it is a natural base. It counteracts the smelly’ acids created when bacteria interacts with sweat. You can use baking soda on its own or as part of a recipe (you can refer to the various above essential oil recipes). Before using it however, test it on a small patch of your skin to make sure there is no reaction. Apple Cider Vinegar (ACV) has many of the welcome properties that make baking soda effective at combating body odor. It is naturally antibacterial, which helps reduce the amount of odor-causing bacteria on your skin. Unlike baking soda, apple cider vinegar is acidic. But the end results are similar. ACV’s acidic nature neutralizes any alkaline components in sweat. This keeps the skin in a mildly acidic state that is not conducive for bacterial growth. The easiest way to use apple cider vinegar is to apply it on your underarms using a cotton ball. Apply it in the morning before you go out and in the evening before you sleep. Alternatively, mix half a cup of vinegar with 1 cup of water in a spray bottle. Being a weak acid, lemon juice lowers the pH of the skin. This creates an unfriendly environment that bacteria cannot thrive in. By reducing bacterial activity, body odor intensity also goes down. As with other home remedies, you can use lemon juice on its own or mix it with other ingredients. To use it on its own, soak a cotton ball in lemon juice and dab it on your underarms or rub one half of a lemon on your skin. If you have sensitive skin, dilute the lemon juice with water before application. Sage is a fragrant herb that has antibacterial properties. 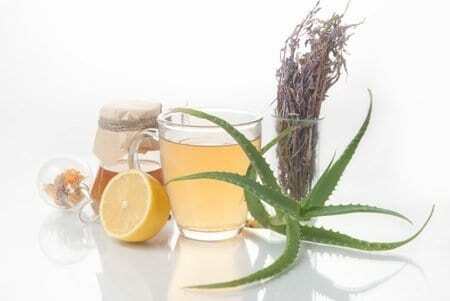 To use it to combat body odor, mix two tablespoons of dried sage and four cups of hot water. Once it has steeped and cooled, apply it on your underarms using a cotton ball. If you cannot get your hands on sage, rosemary is a great alternative. The preparation process is similar. Mix 4 tablespoons of dried rosemary with 4 cups of hot water. Dab it on your underarms once it has cooled. An alternative to using the single essential oils in the above-mentioned recipes is to use essential oil blends. You can find my favorite ones here; they smell heavenly, are energizing, indulging, rejuvenating, sensual and above all, will make you feel relaxed and happy. When it comes to staying fresh, a shower is at the very top of the list. Taking a shower daily gets rid of odor-causing bacteria and secretions. For those extra warm days, you may have to shower twice to stay fresh. For added effectiveness, use an antibacterial soap. After taking a shower, make sure you towel off thoroughly. Any remaining dampness especially in hidden areas such as the armpits creates the perfect environment for bacterial growth. Ensure that you only wear fresh clothes. This ensures that your clothes are not making the body odor worse. Wash sweaty clothes with antibacterial detergent. This gets rid of any lingering odors on your clothes especially those that tend to absorb a lot of sweat. Finally, check your diet. What you eat has a connection with how you smell. Research has shown that spicy foods, onion, garlic, alcohol and excess caffeine can increase body odor. Reduce beef, lamb and pork consumption, go for chicken and soy products. Consume fresh fruits for breakfast (orange, grapefruit), salads and vegetables (don’t eat too much broccoli, cabbage or cauliflower as the sulfur in them can cause body odor). Body odor is not just embarrassing, it can also be detrimental to your self-confidence and self-esteem. Luckily, it is not a problem that requires thousands of dollars to manage. With the right natural products (essential oils, home remedies and/or the proper diet), you can easily manage body odor. My favorite is of course essential oils as not only are they effective for this particular issue but especially beneficial for your skin. Just go ahead and try one recipe; you’ll be amazed with the result! I use a natural antibacterial body wash for my elementary school daughter who was experiencing bad body odor. Her best friend’s mom recommended it. It got rid of her bad body odor after a couple of washes. She now uses it regularly. Some of the scents incorporate essential oils and others just have flavor oils. What is it if you kind me asking? How old is your daughter? Mine is almost 7 and when she sweats real bad she stinks! My daughter is 10 years old. She actually just started selling it on Etsy under Angels n’ Dudes. After a couple of washes her body odor was completely gone. I was really relieved. Nice Blog. Essential oils works as an effective remedy to get rid of skin problems. These oils are the best solution for skin tags. The use of these oils is very effective to our skin. Thanks for sharing. I just stumbled upon your article about “body odor removal by EO” I’ve tried it with your tea tree oil remedy and it works great for me. It is easy to DIY and I will share it with my friends! I am also a big fan of natural ways of using EOs. I have been investigating how essential oils work on people’s emotion and mind. Hi Olivia I just made recipe 3 & 4 I love them !!! I am allergic to sodium bicarbonate-baking soda. I shower everyday and I am at a loss what causes my very strong body odor. i am offended at my own BO. I decided to try recipe 3, added 2 tbsp. 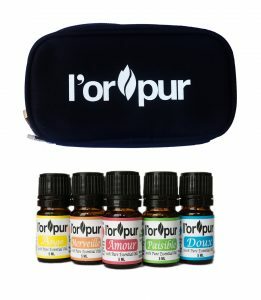 of ACV together with the other ingredients and used your lorpur Amour blend instead of a single essential oil. what i can tell u Olivia is that this has been a GOD-send and much better than a 24hr deodorant which i dont like as they irritate my skin. No more stinky smell and i am now back in the gym daily. You’re welcome and thanks for the positive comment about the Amour essential oil – glad the recipe worked wonders and you are having a great time again at the gym.